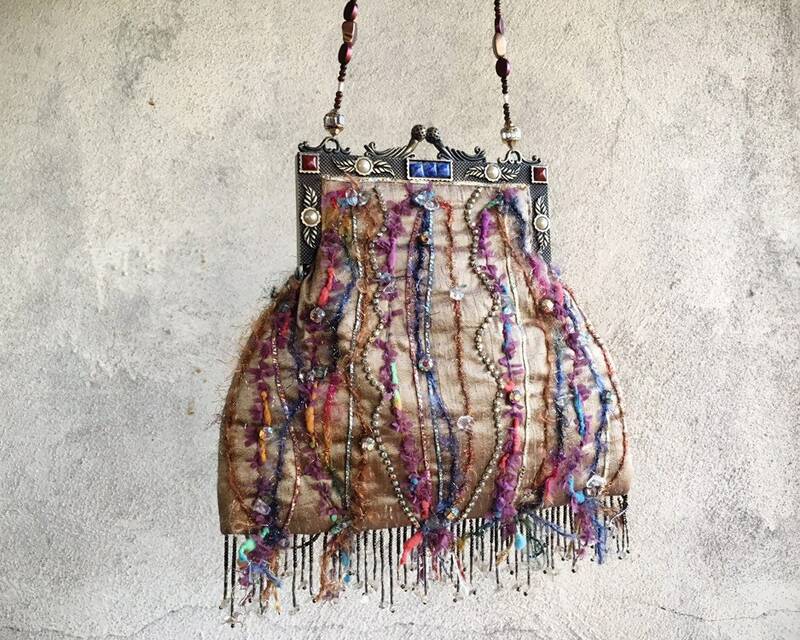 This gorgeous handbag is an early piece by designer Mary Frances, who began designing handbags in the 1980s. 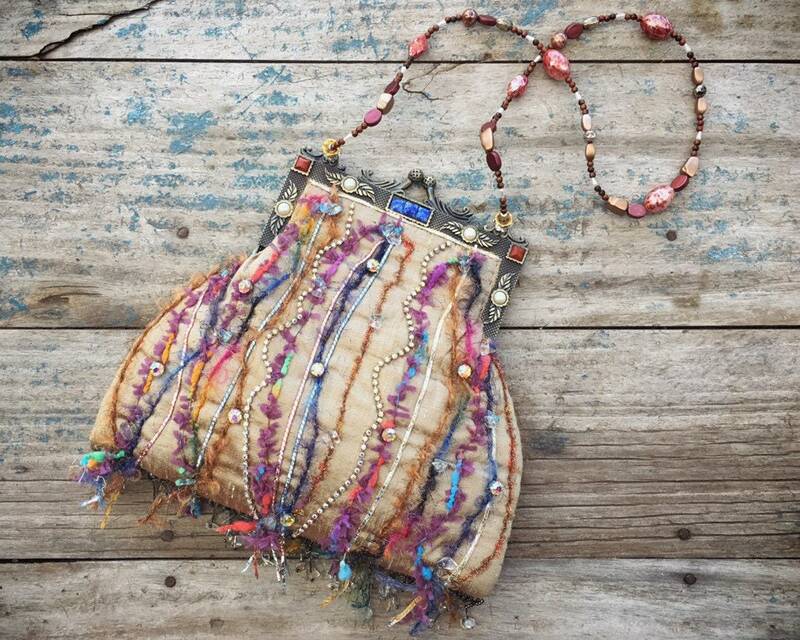 She bega working with a factory in the Philippines, where this bag was made, in 1989, and you can see that it is all hand stitched. 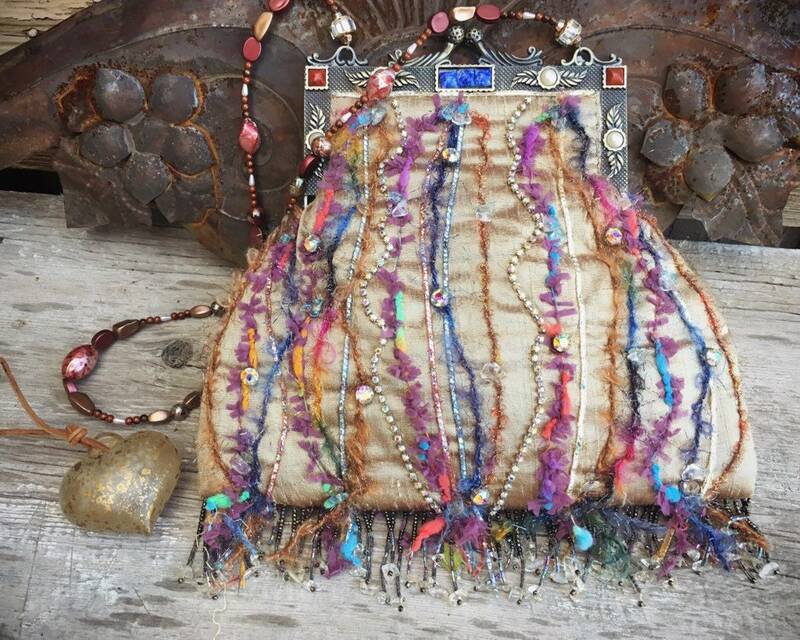 The bag incorporates the designer's love of jewelry, which is apparent in the kisslock clasp, with embedded beads, as well as the vertical strips down the purse, which ar a mix of felted yarn and rhinestone like weaves. 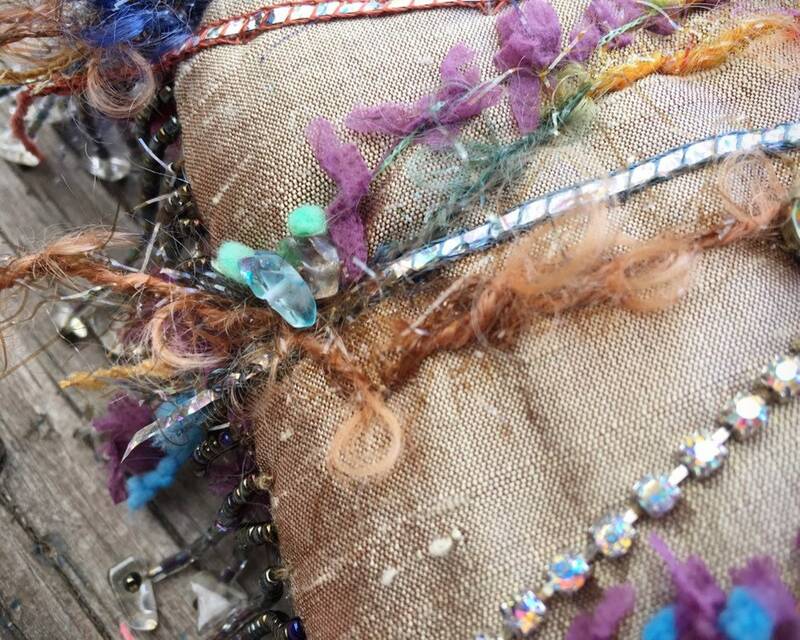 The fringe is also all beaded, as is the strap. 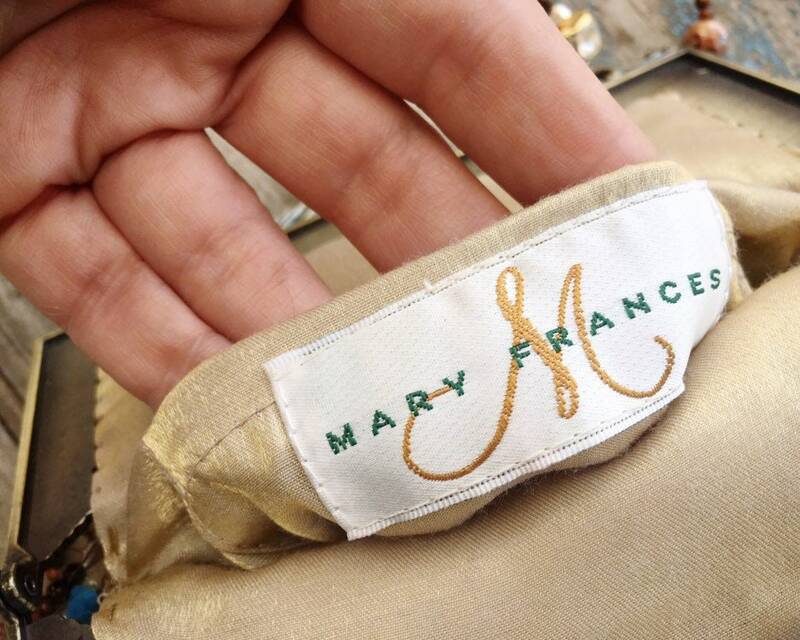 Mary Frances purses are still made today although they have a different look from these early ones. Today purses by the designer sell in the $200+ range. 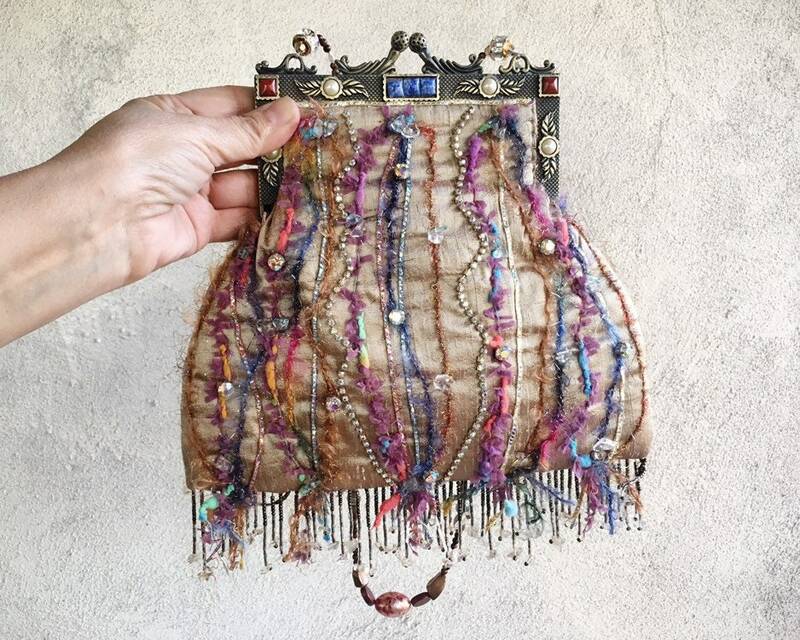 This purse does have some beads missing, and on each side of the clasp some of the beads are slightly askew. But the interior is clean. The label is an early version, and not the label used today by the designer, but it is classic Mary Frances. Measures 10" across by 8-1/2" long, not including the fringe nor the top of the kisslock. 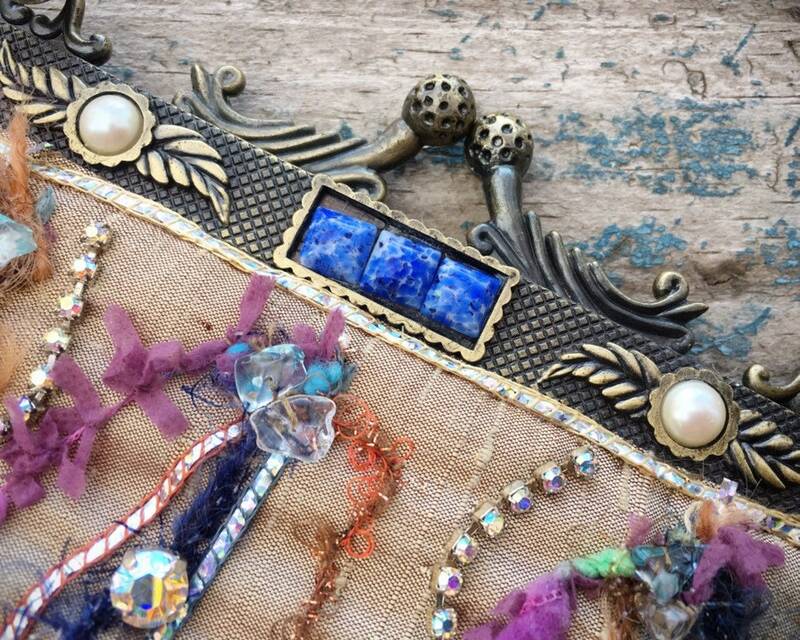 The strap is 27" long so plan for about half that length while wearing it. 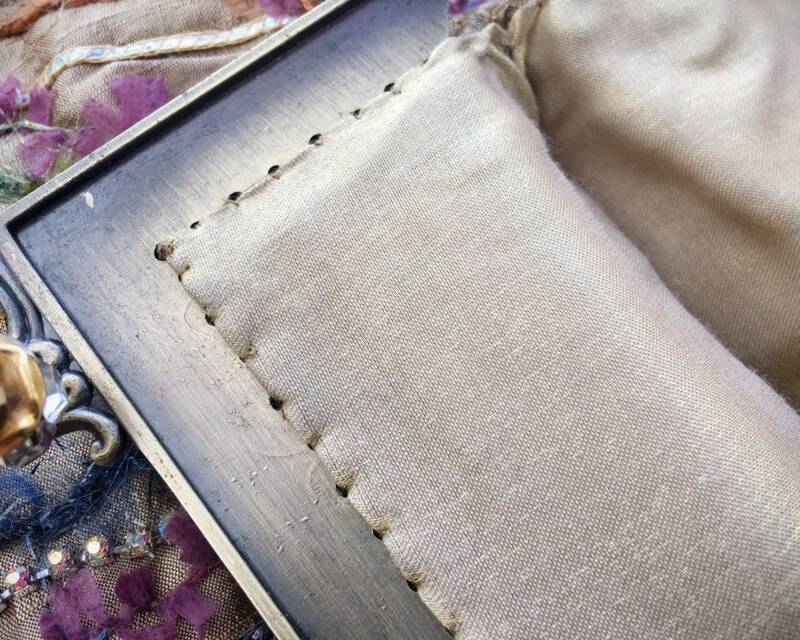 The purse has a wonderful padded lining. You'll not want to pack it too full, as part of its beauty is the elegance in terms of shape and color. Like wearing a piece of art to your next elegant event.